Cake is very tasty, beetroot do not feel at all. Heat the oven at 180℃, grease form with 19 сm in diameter with butter. Slightly mix eggs with fork. Mix margarine with broken chocolate and melt. Grate beetroot, add melted margarine with chocolate, eggs, sugar, salt, vanilla sugar, mix flour with cocoa and baking powder, sift on top of beetroot mass, add raisins, mix it, pour batter in form, bake till readiness, cool ready cake on stove, if you wish pour with chocolate glaze. 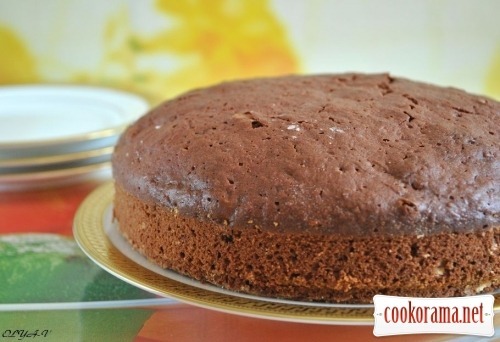 Top of recipe "Chocolate-beetroot cake"